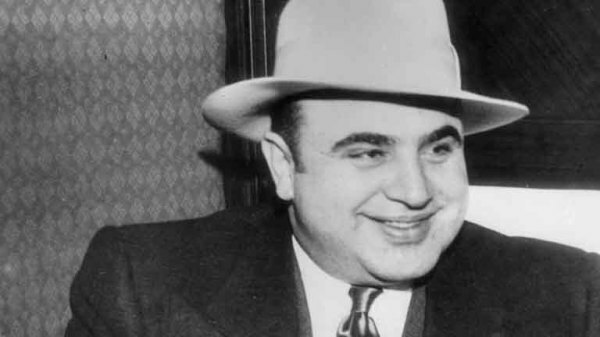 A child from an Italian immigrant family, Al Capone, also known as "Scarface," rose to infamy as the leader of the Chicago mafia during the Prohibition era. Al Capone - Taking Him Out (TV-14; 4:57) Al Capone was a famous outlaw and leader of the Mob in Chicago. It took Eliot Ness and the secret six of Chicago to take down Al Capone on tax evasion. One of the most famous American gangsters, Al Capone, also known as "Scarface," rose to infamy as the leader of the Chicago mafia during the Prohibition era. Before being sent to Alcatraz Prison in 1931 from a tax evasion conviction, he had amassed a personal fortune estimated at $100 million and was responsible for countless murders. As Capone's reputation grew he still insisted on being unarmed as a mark of his status. But he never went anywhere without at least two bodyguards. He was even sandwiched between bodyguards when traveling by car. He also preferred to travel under cover of night, risking travel by day only when necessary. With his business acumen, Al became Torrio's partner and took over as manager of the Four Deuces—Torrio's headquarters in Chicago's Levee area. The Four Deuces served as a speakeasy, gambling joint and whorehouse under one roof. A crackdown on racketeering in Chicago meant that Al Capone's first mobster job was to move operations to Cicero. 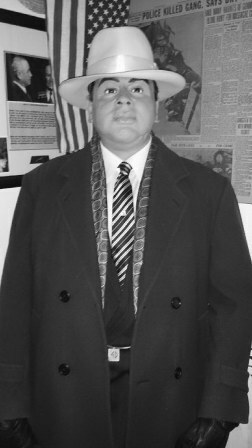 With the assistance of his brothers, Frank (Salvatore) and Ralph, Capone infiltrated the government and police departments. Between them, they took leading positions within Cicero city government in addition to running brothels, gambling clubs, and racetracks. Capone's next mission involved bootleg whiskey. With the help of his old friend Frankie Yale in New York, Al set out to smuggle huge quantities into Chicago. 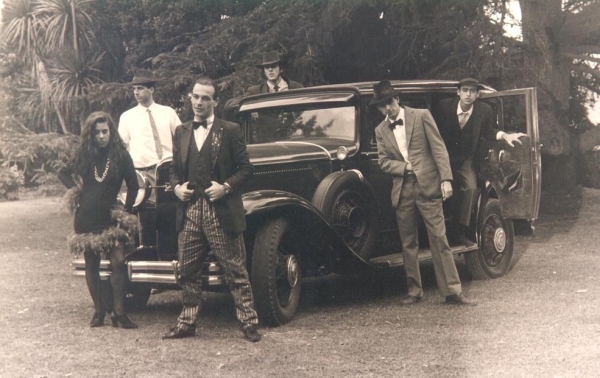 The events would lead to what became known as The Adonis Club Massacre where Capone had Yale's enemies brutally attacked during a Christmas party. small Special Intelligence Unit of the IRS under Elmer Irey was able to go after Al Capone. Capone left for Miami with his wife and children and bought Palm Island estate, a property that he immediately started to renovate expensively. This gave Elmer Irey his chance to document Capone's income and spending. 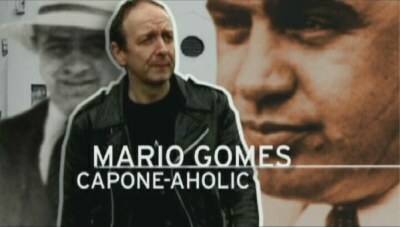 But Capone was clever. Every transaction he made was on a cash basis. The only exception was the tangible assets of the Palm Island estate, which was evidence of a major source of income. On Thursday, February 14, 1929, at 10:30 am Bugs Moran and his gang were lured by a bootlegger into a garage to buy whiskey. McGurn's men would be waiting for them, dressed in stolen police uniforms; the idea being that they would stage a fake raid. McGurn, like Capone, made sure he was far away and checked into a hotel with his girlfriend. When McGurn's men thought they saw Bugs Moran, they got into their police uniforms and drove over to the garage in a stolen police car. The bootleggers, caught in the act, lined up against the wall. McGurn's men took the bootleggers' guns and opened fire with two machine guns. All the men except Frank Gusenberg were killed outright in cold blood. Al Capone's activities attracted the attention of President Herbert Hoover who in March 1929, asked Andrew Mellon, his secretary of the Treasury, "Have you got this fellow Capone yet? I want that man in jail." Mellon set out to get the necessary evidence both to prove income tax evasion and to amass enough evidence to prosecute Capone successfully for Prohibition violations. Furthermore, agent Eliot Ness, angered by Capone for the murder of a friend, managed to enrage Capone by exposing Prohibition violations to ruin his bootlegging industry. Millions of dollars of brewing equipment were seized or destroyed, thousands of gallons of beer and alcohol had been dumped, and the largest breweries were closed. On March 13, 1931, a federal grand jury met secretly on the government's claim that in 1924 Al Capone had a tax liability of $32,488.81. The jury returned an indictment against Capone that was kept secret until the investigation was complete for the years 1925 to 1929. During the trial Attorney George E. Q. Johnson made a mockery of Capone's claim to be a "Robin Hood" type figure and the man of the people. He stressed the hypocrisy of the man who would spend thousands of dollars on meals and luxuries but give little to the poor and unemployed. How he asked could Capone possess so much property, vehicles and even diamond belt buckles when his defense lawyers profess that their client had no income? After nine hours of discussion on October 17, 1931, the jury found Capone guilty of several counts of tax evasion. Judge Wilkerson sentenced him to eleven years, $50,000 in fines and court costs of another $30,000. Bail was denied. In August 1934, Al Capone was moved from a prison in Atlanta to the infamous Alcatraz in San Francisco. His days of privileges in prison were gone, and contact with the outside world, even through letters and newspapers was minimal. Capone's health was exacerbated by tertiary syphilis, and he became confused and disorientated. His sentence was finally reduced to six and a half years for good behavior. After release, Capone slowly deteriorated at his Palm Island Palace. Mae, his wife, stuck by him until January 25, 1947, when he died of cardiac arrest at age 48.